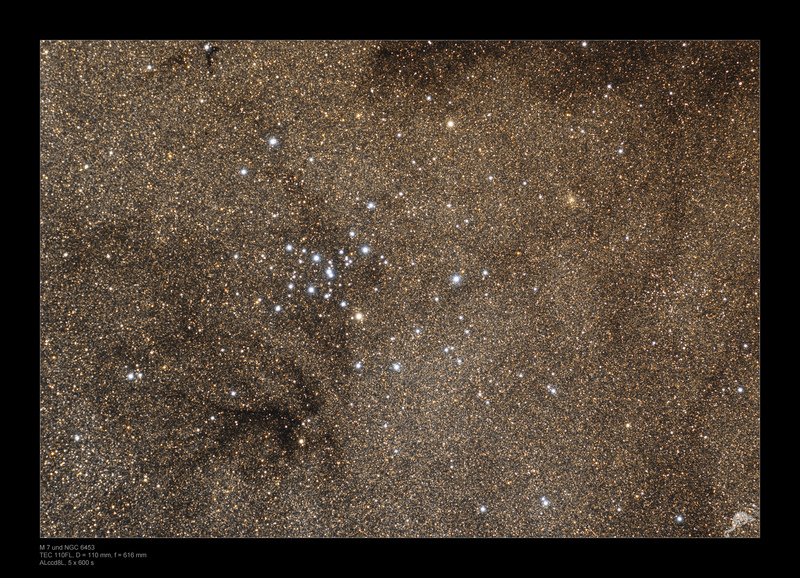 The open star cluster M 7 is located in the front of a extremely dense star field in the constellation Scorpius. The distance to the cluster is about 980 light years and it approximately covers the area of Moon in the sky. The age of M 7 was determined to 200 million years. 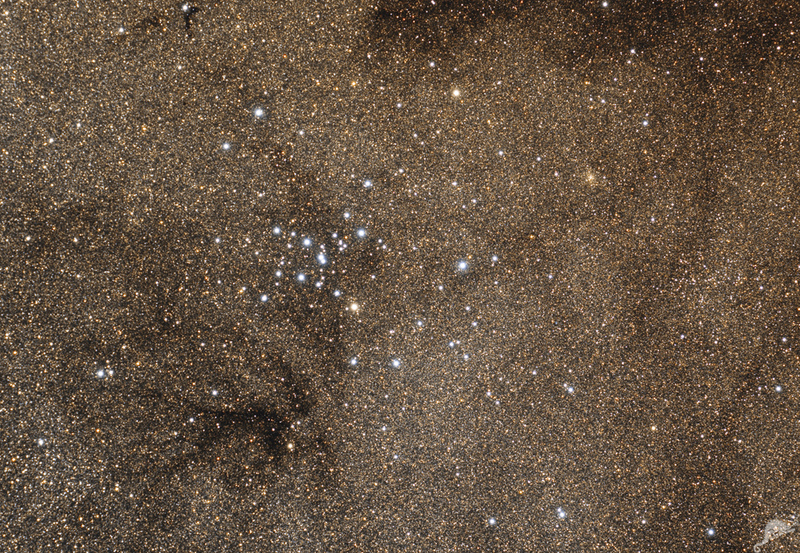 The smaller open cluster NGC 6444 is located in the west of M 7 and is hardly visible due to the dense star field in the background. With an age of 1 billion years, this cluster is much older than M 7. The distance to NGC 6444 is about 1800 light years.